Piqua, Ohio, Dec. 29, 2014 – During 2014, Hartzell Propeller Inc., the global leader in aircraft propeller design and manufacturing, extended sole-source agreements with a number of manufacturers of new aircraft and received approval for several aftermarket upgrades throughout the world. Partially as a result of a sustained increase in new piston-powered aircraft, the company is on track to deliver more than 3,800 propellers during 2014, up from 3,700 the previous year. The performance and reliability of props from Hartzell Propeller resulted in the company capturing a significant percentage of propeller equipped new aircraft deliveries, including new turboprop deliveries, as reported by the General Aviation Manufacturers Association. Hartzell Propeller renewed supplier arrangements in 2014 with five aircraft manufacturers – Cirrus, Mooney, Piaggio, DAHER-SOCATA, and Quest. Hartzell-built propellers were also approved for various aircraft in the United States, Europe and China. These new approvals covered Hartzell props for TBM 700/850s, Aviat Huskies, King Airs, various bush and certificated aircraft, Cessna 182s, TTx’s, diesel Skyhawks and Mooney Acclaims. Hartzell Propeller sponsored Michael Goulian and his Hartzell Claw-equipped Edge 540 in a bid for the 2014 Red Bull Air Race World Championship. Hartzell also provided the Claw propeller for all Red Bull competitors and provided technical support at all of the races. Hartzell Propeller Inc. and Cirrus Aircraft entered into the five-year extension of an exclusive supplier agreement to provide propeller systems and governors for all of Cirrus Aircraft’s new prop-driven airplanes. Hartzell introduced two- and three-blade versions of its new swept-tip Trailblazer prop for experimental aircraft and a number of certificated aircraft models. The Federal Aviation Administration this year awarded Hartzell Propeller Inc. a Supplemental Type Certificate to install the company’s recently type certified high performance Bantam series three-blade propeller on diesel-powered Cessna Skyhawk aircraft. Hartzell Propeller received Federal Aviation Administration Supplemental Type Certificate (STC) approval for the company’s advanced swept airfoil structural composite five-blade propeller to be installed on TBM 700/850 aircraft. The European Aviation Safety Agency validated Hartzell Propeller’s Supplemental Type Certificate for installation of advanced swept airfoil structural composite five-blade propellers on TBM 700/850 aircraft. Hartzell Propeller continued its long partnership with a trio of world-class aerobatic performers – aviation superstars Sean D. Tucker, Michael Goulian, and Matt Chapman. In addition, Hartzell sponsored aerobatic performances by Team AeroDynamix and parachute flag drops by the Paul McCowan Parachute Team. Hartzell Propeller Inc. and plane maker DAHER-SOCATA agreed to renew their long-term partnership with a five-year agreement, under which Hartzell is supplying the recently introduced TBM 900 aircraft with advanced swept airfoil structural composite five-blade propellers and spinners as standard equipment. Hartzell Propeller’s six-bladed structural composite propellers were certified by the U.K.’s Maritime and Coast Guard Agency for Griffon Hoverworks BHT 130 passenger watercraft. Hartzell Propeller was selected by John Klatt Airshows as the propeller technical partner for precision power aerobatics air show demonstrations featuring the Jack Link’s® Screamin’ Sasquatch™ Jet Waco. Hartzell Propeller Inc. and Mooney International Corp. are again in business together as the aircraft manufacturer began production on the first new Mooney airplane in five years. The European Aviation Safety Agency validated Hartzell Propeller’s Supplemental Type Certificate for installation of its three-blade Top Prop conversion kit for Cessna R182, FR182, TR182, T182, 182S, 182T and T182T Lycoming-powered models. Hartzell Propeller received Supplemental Type Certificate approval from the Federal Aviation Administration for installation of the company’s new Swept-Tip Trailblazer propellers on all Aviat Husky utility aircraft. Hartzell Propeller agreed to supply new advanced lightweight propellers to Piaggio Aero Industries for its third generation twin-engine Avanti EVO, the world’s fastest production turboprop. Thousands of aviation enthusiasts attending EAA AirVenture Oshkosh 2014 cast their vision skyward to see a number of aerial performers, performances and aircraft associated with Hartzell Propeller. Customer demand for the new Hartzell Propeller advanced swept airfoil five-blade prop for retrofit on TBM 700/850 aircraft proved to be quite robust in 2014. EAA AirVenture aerobatic headliner Sean D. Tucker and Hartzell Propeller continued their partnership for the 2014 edition of the world’s greatest aviation celebration – the Experimental Aviation Association’s (EAA) Air Venture Oshkosh. Hartzell Propeller Inc. appointed Florida’s Palm Beach Aircraft Propeller Inc. as a Recommended Service Facility. Hartzell Propeller Inc. received validated type certifications from the Civil Aviation Administration of China (CAAC) for Hartzell props flying on Beech King Air B200, Piaggio EVO and Daher-Socata TBM aircraft. Hartzell Propeller developmental activities for the company’s performance-boosting five-blade, swept-tip carbon fiber propellers were featured at the 2014 National Business Aviation Association (NBAA) Convention and Hartzell is working on several other yet-to-be-announced composite five-blade programs for turboprop business aircraft. 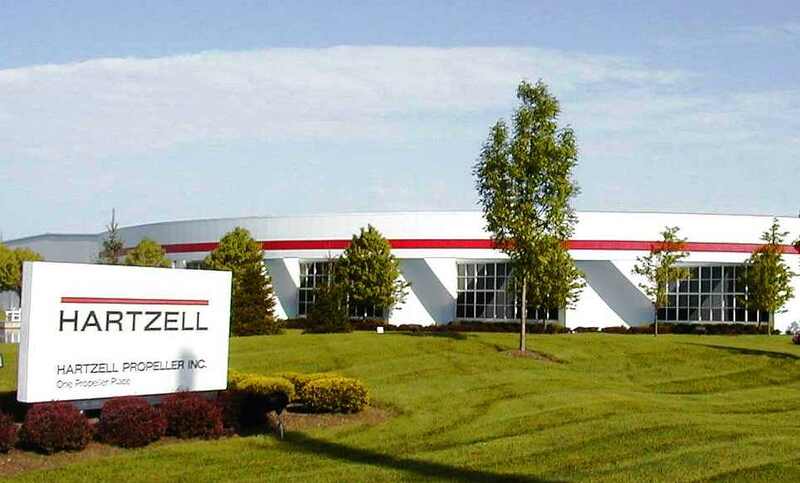 Hartzell Propeller Inc. stepped up its commitment to extend the company’s reach into China’s growing general aviation marketplace. Recently, the Civil Aviation Administration of China (CAAC) validated type certifications for Hartzell props flying on Cessna TTx and Mooney Acclaim aircraft. Hartzell Propeller Inc. and Quest Aircraft entered into a five-year agreement to supply Hartzell props for Quest KODIAK turboprop aircraft. Hartzell Propeller named Segers Aviation SA as a Recommended Service Facility in the Dubai Airport Free Zone, United Arab Emirates.